PAROWAN — Utah Governor Gary Herbert joined county commissioners from Millard, Beaver and Iron counties, as well as the CEO of Scatec Solar North America, to tour the Utah Red Hills Renewable Park Thursday, the largest and first of its kind utility-scale photovoltaic solar plant in Utah, sitting on about 632 acres of privately-owned land in Parowan. 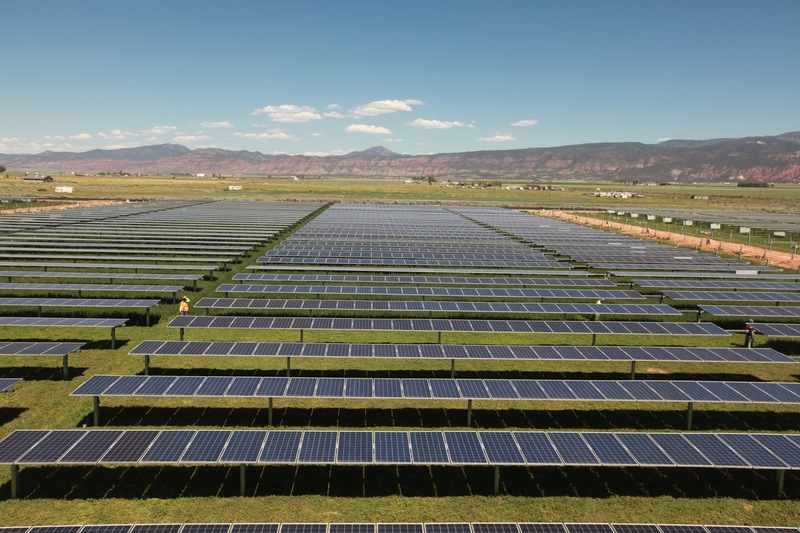 On track to go operational in December, the plant will be Utah’s largest solar energy facility, generating enough energy to power approximately 18,500 homes annually under a 20-year agreement with Rocky Mountain Power. Since starting construction in January 2015, the team has installed 53,923 piles, 40 blocks of racking and 275,272 solar modules. Prior to going operational in December, the team will install the final modules, complete electrical work and testing and finish on-site buildings, interconnection and commissioning. Utah residents make up approximately 80 percent of the construction workforce. With almost 200 jobs at the peak of construction, the project has created both construction and long-term operations and maintenance employment opportunities in the region. More than 30 local firms have been engaged to directly support the project construction, from security and fencing to trailers and equipment rentals. Many local companies indirectly benefit from the project. When the ground-mounted solar facility is completed, it will utilize 347,084 solar modules on a single-axis tracking system. The power generated will interconnect to an existing PacifiCorp 138 kV transmission line in the adjacent Parowan Valley Substation. Total investment for the plant is estimated at $188 million — with Google providing tax equity, Prudential Capital Group providing debt financing, and Scatec Solar providing sponsor equity. The power plant will be wholly owned by a partnership jointly owned by Google and Scatec Solar, which structured and executed the financing for the project. Scatec Solar will manage and operate the plant when it goes into operation. Scatec Solar is an integrated independent power producer, aiming to make solar a sustainable and affordable source of energy worldwide. Scatec Solar develops, builds, owns and operates solar power plants and delivers power from 220 MW in the Czech Republic, South Africa and Rwanda with a solid pipeline of projects under development in Africa, Middle East, Americas, Asia and Europe. Through its wholly owned subsidiary, Scatec Solar North America Inc. (SSNA), the company brings that expertise and track record to projects that increase solar capacity in North America. Based in Sausalito, California, SSNA develops, builds, owns, operates, and has sold turnkey, solar power solutions for on-grid applications, with a focus on utility-scale projects. 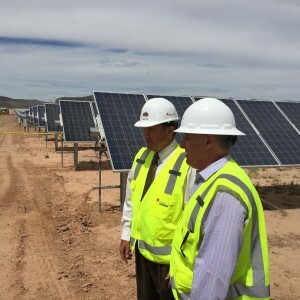 Why is Crapbert touring a librul commie solar plant?! traitor! FUNK BAG: You’ll eat those words some day. It’s about time! 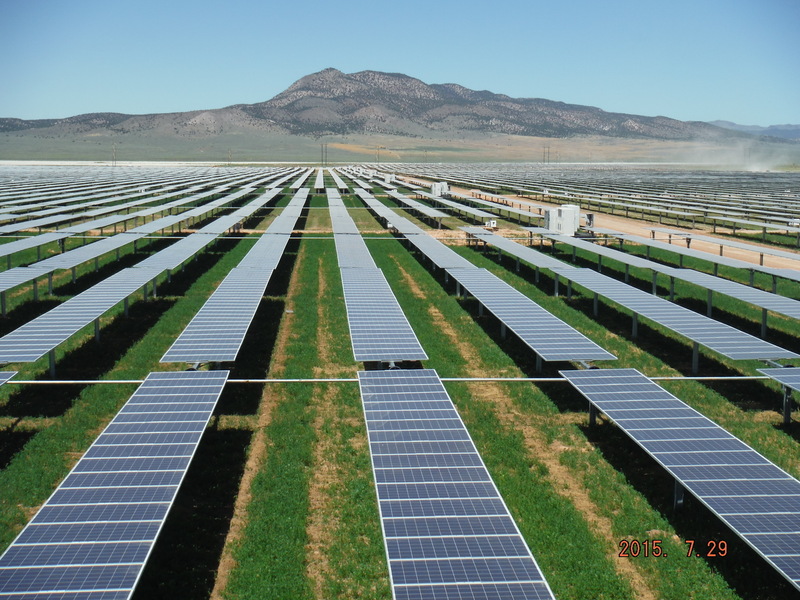 Finally a solar energy platform in Utah, a state with the most sun!